Olympus unveiled the details of two fairly significant firmware updates, both of which will be available for download, come November. The flagship Olympus OM-D E-M1 will receive firmware version 4.0. while the not even one-year-old OM-D E-M5 II will receive firmware version 2.0. E-M1 version 4.0 includes the addition of the following still features: Focus Stacking, Focus Bracketing, Advanced Focus Peaking, Silent Mode, Simulated OVF, 4K Time Lapse Movie , Live Composite using OI.Share, the ability to shoot at 5fps with Anti-shock, MF Clutch Disable and Menu Curser Position Memory. The Focus Stacking Mode is brand new to Olympus cameras and will only be available in the E-M1, for now. It stacks 8 images, in-camera, into a single JPEG, with the user setting the difference in focus distance between each image on a scale from 1-10 (with 1 being the smallest change in focus between images). The camera saves all 8 individual images when using this mode, and users can even shoot Raw+JPEG in Focus Stacking Mode (the combined image will be a JPEG, though). E-M1 Version 4.0 also includes the addition of the following movie features: Movie IS that combines 5-axis optical IS with digital IS, 24p (23.98p) and 25p frame rates, movie info display, time code settings, movie rec start with RM-UC1 release cable, and synchronized PCM audio rec with movie rec. E-M5 Mark II Version 2.0 includes the addition of the following still features: Focus Bracketing, Simulated OVF, 4K Time Lapse Movie and Live Composite using OI.Share. New video features include: Synchronized PCM audio rec with movie rec, a Movie Noise Filter option, and the addition of Flat Picture Mode. As of now, only the E-M5 II will offer the Flat Picture Mode during video capture. In addition to the two firmware updates, Olympus announced a new version of its app OI.Share, available now for Andorid and iPhone. Plus details of a forthcoming version of its tethered shooting software, Olympus Capture, also to be released in November. Details for those updates can be found in the release below. 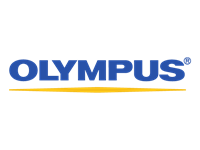 CENTER VALLEY, Pa., September 15, 2015 — Today, Olympus announces a series of firmware upgrades that significantly enhance the performance of the OM-D line for professional and amateur shooters alike, including Version 4.0 for Olympus OM-D E-M1®, Version 2.0 for OM-D E-M5 Mark II updates to M.ZUIKO® PRO and PREMIUM lenses as well as Advanced Olympus Capture Version 1.1 and OI.Share® Version 2.6. The updates, which will be available in late November 2015, are highlighted by new macro shooting modes, advanced video performance and other capabilities found on the recently announced OM-D E-M10 Mark II. Focus Stacking Mode, exclusive to Version 4.0 for OM-D E-M1, expands the expressive power of macro photography and brings out the true performance of M.ZUIKO PRO lenses. In Focus Stacking Mode, a single press of the shutter captures eight RAW or JPEG shots with varying focal positions and automatically composites them into a single JPEG file for a macro shot with incredible depth of field. Users can also take their macro photography a step further with Focus Bracketing Mode, which captures up to 999 shots with varying focal positions. Third-party photo-editing software can be used to merge the files into one breathtaking image that reveals the details of any subject, from the small, like a bloom of a rose or an exotic insect, to a large depth of field in a telephoto landscape. 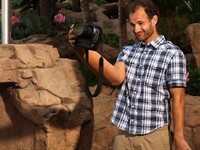 The firmware upgrade also give users more support and ease of use when capturing professional-quality images. The new simulated optical viewfinder (S-OVF) delivers a view similar to that of the naked eye, just like an optical viewfinder. Exposure compensation and white balance are purposely not shown so users who are more familiar with the optical viewfinder in their traditional DSLR cameras can use the OM-D in the exact same way until they become more comfortable with the benefits of an electronic viewfinder. Advanced Focus Peaking adjusts settings and turns Focus Peaking on or off at a moment’s notice while shooting in Live View. And, just like the Advanced Focus Peaking already on the OM-D E-M5 Mark II, OM-D E-M1 users can now select the desired intensity level (low, standard or high) and color (black, white, red or yellow) for consistently sharp images during shooting. Menu Cursor Position Memory further enhances customization by automatically returning to the last menu setting used , meaning less time navigating menus and more time is spent capturing moments. Anti-Shock Mode is now easier than ever and automatically switches to the mechanical shutter at speeds 1/320 and faster. And when users are shooting in quiet situations, Silent Mode eliminates all camera sounds for completely silent shooting, perfect for a piano recital or wedding ceremony with shutter speeds up to an amazing 1/16000th sec. Advanced movie capabilities include the ability to easily synchronize PCM audio and video recording when using the Olympus® LS-100. A Slate Tone can now be added to make it simple to perfectly synchronize audio and video during the editing process. Users can further optimize their 1080p Full HD Video with additional features, including Movie Image Stabilization with five-axis optical IS and digital IS, 24p/25p frame rate, movie record start with a release cable, support for time code setting and, finally, a movie info display that shows histogram, level gauge, audio level and time code. In addition to many of the updates in Version 4.0 for E-M1, including Focus Bracketing and S-OVF, Version 2.0 firmware upgrade for E-M5 Mark II further enhances the camera’s ability to capture crisp, clear video with no need for additional editing software. Movie-Exclusive Picture Mode Flat provides for post-production color grading by lowering the contrast to minimize blown-out highlights and loss of detail in shadows. Additionally, new 4K Time Lapse Movie captures up to 999 images automatically and combines them in-camera into a stunning 4K file. Advanced Olympus Capture Version 1.1 makes tethered shooting in-studio even easier for both still images and video by allowing the user to customize the camera’s display and layout for quick and easy access to the most frequently used functions. Direct PC makes image transfer four times faster by saving images directly to a computer without having to record to an SD card. Features like Keystone Compensation can be utilized from a computer as well by simply connecting the computer and camera body. The latest firmware for the M.ZUIKO PRO and PREMIUM lenses will also be released and will include aperture drive, which has been improved for smooth exposure control even when shooting movies with sudden changes in brightness. The update also gives the shooter the convenience of disabling the MF Clutch and Snapshot Focus even at the MF Clutch position. Finally, the new Version 2.6 update for the OI.Share app for Android® and Apple® is available now and enables Live Comp to be viewed in real time. Now users can make adjustments to their settings and monitor the progress of the image as it develops right on their smartphone or tablet. 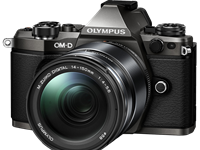 The Olympus Version 4.0 for Olympus OM-D E-M1, Version 2.0 for OM-D E-M5 Mark II and Olympus Capture Version 1.1 will be available in late November 2015. 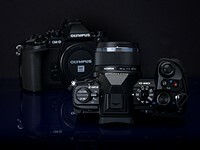 To find out more about the firmware updates, visit the Olympus website at www.getolympus.com/upgrade. I have 75-300mm lens and hold interest in taking photos of wildlife but mainly bird's. Camera has lost its ability to utilize weighted focusing, even though Olympus update site states update won't impact on your focus settings I advise completely ruined ability to focus on centered subject. I strongly advise caution until Olympus does something about it. I've tried every which way to resolve and currently considering new camera as an option however that will depend whether its possible to download and install the excellent improvement in V3 update. My current feeling is V4 has taken away .jpg.jpg format and or the update doesn't suit the M. Zuiko ii 75-300mm lens, note on Olympus site i read mentioned the update suited ED Pro lens. Does anyone know how to find the Movie-Exclusive Picture Mode Flat; Noise Filter for Video Shooting in the menus? (Firmware update Ver 2.0 - OMD EM5 MkII) Thanks! I've been an Olympus user ever since I bought my OM-1 new, in 1976 - I still have it (and 4 prime Zuiko lenses), and it still works perfectly. My first decent digital camera was the E-1, and I have had the OM-D E-M1 for about 18 months. Quite apart from loving all the gear I've bought from this company, I am more than happy to feel loved back by Olympus. How many other manufacturers keep offering new functionality to existing cameras? This latest E-M! firmware will make it almost as if I have bought a new camera once more! I got my first OM camera in 1979, a black OM-1 with f1.4 50mm, the camera I learned on, but with three lenses. I learned deliberation. I never had an OM-2, but I got an OM-4 at the end. When digital camera around, I adopted slowly and with some annoyance that deliberation had been thrown out the window. Start with "P" and just press the button. I hemmed, hawed, and delayed. I got an E-PL1 on closeout, shot hundreds of really nice photos on it, few in compromised light, but remained a bit iffy. The introduction of the f1.8 primes changed my mind, however, so I jumped in with an E-M10. I have six lenses, a six-color printer, and I am completely dumbfounded at both the power and coverage this system offers. Ever noticed? All the badmouthing comes from folk who have never owned, or likely held an OM-D in their hands. We know better. GREAT NEWS. Can't wait for the FOCUS-STACKING! I posted a couple of requests for Olympus Tough cameras' style Focus-Stacking on their flagship OM-D and it is finally happening. This goes to show that Olympus does listen to its customers. It restores my faith in the company's committment to its customers. Well done, Olympus and thank you! Good on you Oly, but I was also hoping for Touch Focus AF Pad like EM-10 II, should be easy to implement no? For an OVF shooter like me, the need for fast refocusing is paramount. Bravo Olympus, for a very pleasant surprise. While it is true that the user-interface and menu-system would certainly benefit from a significant work-over, and that a way of adding such features to the original |OM-5 would be wonderful, Olympus does seem to have really worked to provide owners with just about every improvement doable by software with the existing electronics and mechanical systems. And they have, at least, very much included the EM-1 in the process. I am so happy to have these updates, it encourages me to have more fun and take more pictures. I know some of the updates like focus stacking can be done with software post pic, but it makes the image taking process easier. I am encouraged that the company is thinking about consumer/customer happiness. Faster startup time and a better thought out menu would improve this camera so much! It's embarrassing that none of this made it to the OMD 5 mk1.... and no explanation why not. I guess the explanation is similar to why cool free updates aren't provided to any company's older products: 1) Because the E-M5 mk1 is 3 1/2 yrs old and they no longer get a return on investment by providing FW updates. 2) Its processor wouldn't necessarily be able to handle these features, or it would make programming the features more challenging. Personally, I wish Pentax would provide FW to allow K-3 mk1 users to do the K-3 mk ii type of high resolution mode, but I am not going to hold my breath for it. I think a lot of the stuff also requires an electronic shutter, which the E-M5 doesn't have. Firmware can't add hardware. There was a very big shift in electronics used between the E-M1 and 5. My first picture with the OMD EM5 was taken March 2014 and I bought the camera new, so it is not a 3 1/2 year old camera. Oly was selling them 1 1/2 years ago. You may be happy with lack of support after 1/1/2 for a 1000$ product ... I am not. All Oly would have to say is they tried and found every single new feature was not portable to the Mk1. The truth is that the OMD Mk1 is still a major contender and the stiffest competition for Oly .... for me to drop another grand on any camera it would need to be 1000$ better than my mkI. Sony almost pulled that off but the convenience of a single lens wasn't enough to justify the loss in image quality when I already have a EM5. This self competition effect is taken to extreme in the gaming industry where PC games are released so broken they barely play and never fixed. You may have purchased your E-M5 in 2014, it was however the first OMD and first seen in 2012. They have since replaced it with a newer version, released this year. Sirandar, I have the EM5 MK1 and sold my EP-L5 to get the MK2 as my second body. I have never felt the EM5 MK1 was crippled in any way and I knew what I was buying when I bought it. I was previously upset the E-400 was never updated, but the quality of the gear kept me with the brand. I guess, in the end, when you see features in a new camera that you feel you want or need, the desire outweighs the cost and you buy. You're not there yet. Olympus is still selling the E-M5, and for more than any other OMD. Nowhere do they say that they are no longer supporting that camera. Sony and other camera makers take note, this is how to do firmware updates! I wish Olympus would improve the ergonomics of the viewfinder by creating a mode where no data is overlaid on the image area. I shoot in 3:2, so there's plenty of room outside the frame for shooting data. This one simple change would mean so much to me. You can do that. I don't have the camera handy but you can set the viewfinder to (I think) mode 3 which reduces the size a bit but leaves the data outside of the image. Go to Menu *J & the first setting is for the EVF Style. Either Style 1 (with blue background to data) or Style 2 will do it for you. I love my OMD EM 5 but the firmware upgrades I always hoped for, never came. I expected much but it never happened. Instead, they unveiled new models. Because I was a loyal film camera OM 1 owner, I jumped to get the first OMD. Now it looks like i'll jump over to investing in the Sony a7s ll, but still can't help wishing for new firmwares for my OMD. What would that solve? They do the exact same thing. Why would you buy a camera and hope for firmware upgrades? As I said in a previous reply, I have never felt the EM5 MK1 was crippled in any way and I knew what I was buying when I bought it. I was previously upset the E-400 was never updated, but the quality of the gear kept me with the brand. I now have the MK2 as a second body. So this is a camera that can do automatic exposure bracketing and automatically refocus to create the stack of images? Now if all those images could be stored in a new 'stack' image format, you'd effectively have the Lytro-like capability of choosing your focus point and exposure later on in software, at least for static shots! How long before all camera manufacturers do this? Take a lens with a fast AF motor, synchronise it with the camera's video capability, and it could take perhaps 36 shots (3 different exposure levels x 12 different focus points, or 4 different exposure levels x 9 different focus points, etc.)... all in a 2 second burst. You saw it here first :-). That firmware update is looking VERY impressive. And i would really love to use that focus stacking feature. It's very clever indeed. This is great news for me as an EM1 user. I thought I have to wait for MKII but now I am super pleased that Olympus is following its value approach. Sadly EM5, which I also use, is not supported. Maybe CPU power is not enough or Olympus doesn’t want to jeopardize EM5MKII sales by fostering used market models. I mostly wait for the silent mode. Silent mode was the reason why I also bought a GX7. I do a lot of ceremony shooting were silence is everything. Made some images in churches whith the GX7 in silent mode. It's not a feature you may use often but by god can it be useful at times. @BarnET this was the reason I got my GX7 upgrade ..
Wow, focus stacking for macro photography brings redundancy and flexibility of choice to another level. Focus bracketing is the key here - doing this manually is PITA, especially with living subjects. Can't wait to have it on my E-M1 :). For stacking I guess Helicon Focus or Zerene Stacker will be winners, but maybe Olympus will surprise us and show great in-body focus stacking, too. 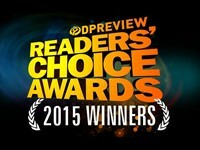 Great news for my macro photography! I have to get a new camera with focus stacking, now I am still using the old EM-5. I really wish they would add exposure compensation control during video recording. It's so useful when you are tracking a subject that is walking around and moving between different lighting situations (for example, back-lit to front-lit, or very dark and then very bright backgrounds). In fact, why not allow us to change whatever settings we want during video recording, such as metering mode, aperture, shutter, etc? I called Olympus yesterday, and was told that the new firmware WILL contain exposure compensation control during movie recording. The person said he has no idea why it isn't mentioned clearly in the press release, but he assured me it's part of the update. I guess we'll see if he's right. This is very good news! Can't wait to get my hand on focus stacking mode. This means the EM1mkII must be even more impressive because it has to be a significant upgrade from mkI. It would be a dream if 60p was also added in the FW. How is possible the lower model of OMD EM10 m2 has 60p and not the top one? afaik, it's a matter of sensor and its circuitry, not just software and camera's CPU power. It's also due to licensing issues with the CODECs (the software that compresses the video is not owned by Olympus). EM10 is a newer camera and Oly probably got some new deal arranged for that. May not be able to go backwards with such deals due to export restrictions. Very glad to see focus stacking with a sensor larger than 1/2.3! 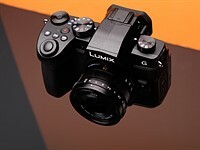 I hope Panasonic follows suit by incorporating focus stacking into their post-focus technology. Although their pics would be limited to 8mp, they should be able to incorporate more than 8 frames into the final product. I imagine it will be a while before this tech matures to FF, given the processing power needed. I also imagine Sony will be first to bring it to FF (or perhaps Samsung). Well, the umpteenth firmware update and this obviously means we won't get to see the E-M1 Mk II with a better performing sensor till......who knows when. The sensor is in the present EM1 is plenty good enough for a competent user. Maybe you should use a different system. with a better sensor to suit your needs. For existing EM-1 owners agreed david. getting more features for free -> paying a lot of money for a slight gain in IQ with the Gx8 sensor. Now for olympus making a em-1 II might be a good idea. They had to drop the price a lot lately. And i don't think making such a high-end camera is cheap in terms of production. Who needs a better performing sensor? Zephir, are you sure that YOU are already good enough for that "old" sensor? Some really nice upgrades here. I just wish Oly hadn't dropped the E-M5 like an orphan when it comes to updates. I would be happy with them just adding the ability to assign custom presets to the mode buttons, for example, and a few of the other tweaks added in earlier E-M1 releases. Yes, I hoped for the custom presets and other minor updates. Worse was the E-400 for being left stranded! It seems they have a different attitude now, which can only be a good thing. Any word about increased bitrates to make this a dream upgrade? TBH 1080p H.264 High Profile in 25 Mbps is more than you'll see in most HDTV channels. Could it be better? Sure. Is it a real limitation? Not for me. I haven't tried the E-M1, but the codec of my E-M5 @20mbps breaks up way to easily. 25 mbps would be better - but I am hoping for more though. Now this is real customer care :-D.
Does Focus Stacking (comprised of 8 pics) produce a RAW or JPEG output? If JPEG, I wish for Large Super Fine to (finally) be the camera default when JPG is required due to such features! It's in the article. It works in a similar way as the HDR and hi-res modes. The only limitations is the lenses that works, for now, with this mode (12-40, 40-150, 60 macro). For everything else, bracketing is the fall-back mode (pics taken, but you assemble them on your computer). It's unclear if other lenses will be supported at a later time. Have fun in any case. The article says output file is a JPEG, I was hoping for a RAW. But you can still use the Bracketing option and compile externally using third part software. How to initially focus when using the new Focus Stacking and Focus Bracketing features? How do these functions alter the focus? I mean where do the focus wander after the first shot? Does it first get closer and closer for the first half of the series, then farther and farther for the other half? Or must you place focus for the first shot at one "end" of the desired focus range (either closest or farthest), and thereafter the focus will wander in one direction only from there? How should anybody know yet? For me the most obvious way would be to start close and get farther with each step. Interessting aproach would be to set two pionts and the camera would automaticaly do the rest. "normally Stackers go from back to front" realy? I did not know that. Interessting. I am going to explore focus stacking for myself. I will consider this. Most of them do but not all.. I found it seems to merge them better that way... Lots online tutorials worth a look..
Olympus previously had this feature on some Four Thirds cameras, the E-500 had it. From my understanding you set the number of pictures and the size of the step to take. Obviously you focus at the 0. I hope this will be implemented in the same fashion. It's a good thing that CSC makers are offering powerful firmware upgrades. Keep it up Olympus and Fuji etc. the Gx7 is already fully loaded with features. I can't think of many things they can add with the limited processing power it has. The DFD is a Venus 4 quadcore feature. So i am not sure we can blame them. it has face detect but indeed no eye detect which is helpful and should be possible. I believe the SCP reference is for the screen display panel within Olympus Capture, the tethering program & is only for customising the computer display, not making changes to the camera, although it would be nice if it was possible to tailor the SCP in the camera. Yes. I just spotted that. Shame no customised SCP. Shame Capture doesn't work on my PC. Come on Olympus. Buck up! Why doesn't Oly Capture work on your PC? The two models compatible with that program is E-M1 & E-M5 II. They didn't bother to make a Linux version of any of their software. The numpties. There is a high probability that you do. Some can't use it because dopes like Olympus don't port much of their software to it. Not by merit or peoples choice. Olympus and others cause this problem. Luckily Linux has become more popular than all other OSs as a whole if you include mobile devices. I used OI.Share version 2.5 for geo-tagging quite happily with my E-PL7. It worked without a hitch till I upgraded to version 2.6 which BTW is on google play since August. Now the syncing of geo-tagging log fails every time and re-installing the app doesn't help. Be warned. This is nice, but nothing realy impotant. Live view hdmi out would have been nice. For a future E-M1 II this would be a nice thing. A second SD-card slot would be nice as well. Oh, yes! Histogram an level gauge at the same time is something many users are missing. Auto expose to the right,..
"Histogram an level gauge at the same time is something many users are missing"
Yes, this is one of the few things I dislike about my E-M5. The bizarre thing is it occasionally happens by accident - a bug presumably - in circumstances I have never been able to reproduce, so I know it must be easy to achieve by design even in the older cameras.Same applies to the "blinkies" which sometimes stay active along with the level gauge. I compensate by having different displays on EVF and LCD, but it would be nice to overlay any or all on both displays. There is quite a lot important there for me. Actually, it's probably more important than some previous updates. 24/25 fps video was a BIG omission when E-M1 launched and it's finally here. I guess it's personal what's important and what's not, but in this case, the list is long enough that a lot of people will find some of the stuff very important to them. All of it (or most of it) is realy usefull. Some of it will be important for some. I know people who long for the silent mode. I will enjoy the improved focus peaking because i use some MF-lenses. Video? Ah you are right. You can also make video with it. I always forget. @John Bean: I now read the whole press release. In movie mode you will have level gauge and histogram at the same time. Strange. We will see how good this will be when we will have updated our cameras. "Oh, yes! Histogram an level gauge at the same time is something many users are missing. Auto expose to the right,.."
this updates are so huge, some others brands make 2 new models with such improvements. But really it means it remembers the last place in the Menu you were accessing, just as the E-M5 Mk II does. For a firmware update I expected the ability to use the display surface as a trackpad while using the electronic viewfinder, a feature Olympus introduced in the OM-D E-M 10 mark II. Excellent! Can't wait to try it all out... Now all that's still missing is configurable Auto-ISO and exposure compensation in M + Auto-ISO mode. I really hope they will be added, too, before the E-M1 II comes along and firmware updates for the predecessor will end. At least Olympus has conclusively proven they can do upgrades by firmware just like Fuji. At least with Olympus you don't have to pay for the updates. And now apparently the GH4 V-Log update is free as well. Panasonic left a hole in their software allowing the V-Log profile to be saved to the camera via the Image App. Your comment should be deleted by the mods. That kind of talk has no place here. it depends upon what the firmware is doing. If it is 'fixing' existing problems or issues, then it, of course, should be free. If it is an "upgrade" then it might be paid for. Companies decide if upgrades are free - I think it is prudent for customer satisfaction that incremental upgrades (be if software or firmware) are free because the company is helping to "lock" their customers into their product by providing a good after service. I certainly agree that fixes should be free. Something like V-Log is a fairly large upgrade as far as the usability of the camera though, and considering panasonic are charging about the price of some online LUT packs I would have said it was reasonable. I have a D800, two V1 and a V2. Half a year ago I bought a E-M1 and I am very happy with it. Also I must say that E-M1 focusing and tracking is not as good as with the V2. But the choices of lenses for the m43 is much bigger than for Nikon 1 cameras. The major andvantage is the firmware upgrading for the E-m1. It becomes a much better and more versatile camera with each firmware upgrade. And the Nikon 1 cameras, not. Nikon could make them much better with firmware upgrades. Pentax traditionally has done firmware upgrades too before even Fuji did. Pentax release firmware up dates to fix issues and to ensure compatibility with new products. They very rarely release updates to provide additional features or functionality that was not present at the initial release point. Ricoh have frequently added features by firmware updates in the past. Take my Pentax K-30 camera as an example. Pentax could learn a lot! •Correspond to HD PENTAX-DA AF REAR CONVERTER 1.4X AW. •Improved stability for general performance. •Correspond to the AF assist light function by white LED light for auto flash unit [AF360FGZII] and [AF540FGZII]. •Optimized contrast AF when using HD PENTAX-DA Limited series lenses. •Corrected – When recording Movies, contrast AF does not work for some lenses in firmware version 1.02. •Optimized contrast AF when using [HD PENTAX-DA 560mmF5.6ED AW] lens. Well speaking for the Pentax Q, they did several things that made the Q much better than at release time. Particularly the auto focus speedup. I guess it varies per model. Yep, the Q does seem to be a good example. As above though, it's the exception, not the rule. How about shortening the time the E-M5 II takes to wake up from sleep mode? It is quicker to turn the camera off and back on (which already takes time). My only gripe for now. They improved it in the firmware update. But I reccomend to switched off Quick Sleep mode. I agree with the original post- they improved it but frankly I find the difference hard to notice. I believe the firmware update was for the speed at which the information is displayed when the camera is turned on from the off position. And you can only take photos once the information is displayed on the LCD. Honestly I didn't notice a difference when I did the update. The camera waking up from the sleep mode is another issue or maybe it's the same as turning on the camera?. Sleep mode is nice to save battery power but I may need to turn it off for now to avoid missing some shots. I hope they fix this issue. I stand corrected. After some trials, waking up from Sleep mode is a breeze. When not using the LCD for live view it is the Quick Sleep mode that kicks in and it takes a few seconds for the camera to wake up. Like what ianp5a receommended, I turned off Quick Sleep mode and it took care of my problem. The way I shoot is I turn the LCD inwards and just use the EVF for everything. Thank you ianp5a. I've been waiting since January's Nikon "I Am... Advancing" campaign to see updated firmware. where is Nikon with their innovation?? This is great to see all the new additions. If you can squeeze one more thing in, please let us rename the my sets. Was really hoping for the "Targeting Pad AF" found on the EM5-II and Panasonics but I don't see it in the list of updates. I do hope they can somehow squeeze it into the said Firmware upgrade. it's the em10 II that has the AF Pad, not the em5 II. I was hoping the same thing, especially for the em1. Still an awesome update though. More like the Fuji effect. Constant upgrades with good stuff. Samsung's NX1 updates came out after Olympus' earlier updates to E-M1 and E-M5. Definitely more like Fuji effect. I'm pretty sure Sony was the first to offer a dramatic firmware update for mirrorless cameras (back in 2010) with the NEX-3 and NEX-5 by allowing menu shortcuts to be mapped on buttons. Let me know when iOS 9 goes live. Check. I called Phil and he promised you would be the first one notified; and thanks for the relevant post. Sony should implement this focus stacking to its fe bodies. It is certainly much more needed in ff than in m4/3. It's actually needed pretty much exactly the same for m43 and FF, for macro at least. Since macro work is generally diffraction limited, there's no DOF advantage to the smaller sensor over FF. For landscape work however, FF could definitely benefit a bit for than m43 from an automated in camera focus stacking. M43 does have advantages though. First being the lenses needed are smaller with 'smaller' focal lengths. No doubt, the point though was that focus stacking is of equal use to both formats for macro shooting due to diffraction effects. Other way around son. Macro is more ideal for smaller sensors, and Olympus with its medicine optics has well renome in world of macro. You're really not correct here, for macro shooting where you're pretty much always diffraction limited smaller formats have no advantage in DOF.